Our floor is full of new styles for the summer season including these standouts from Smith Bros. These styles are available in a choice of over 900 fabrics or 90 genuine leathers with custom orders delivered in about 35 days! Visit us at 222 Main Street in Saugerties NY for these and many more styles. We’re open 7 days a week for your convenience. 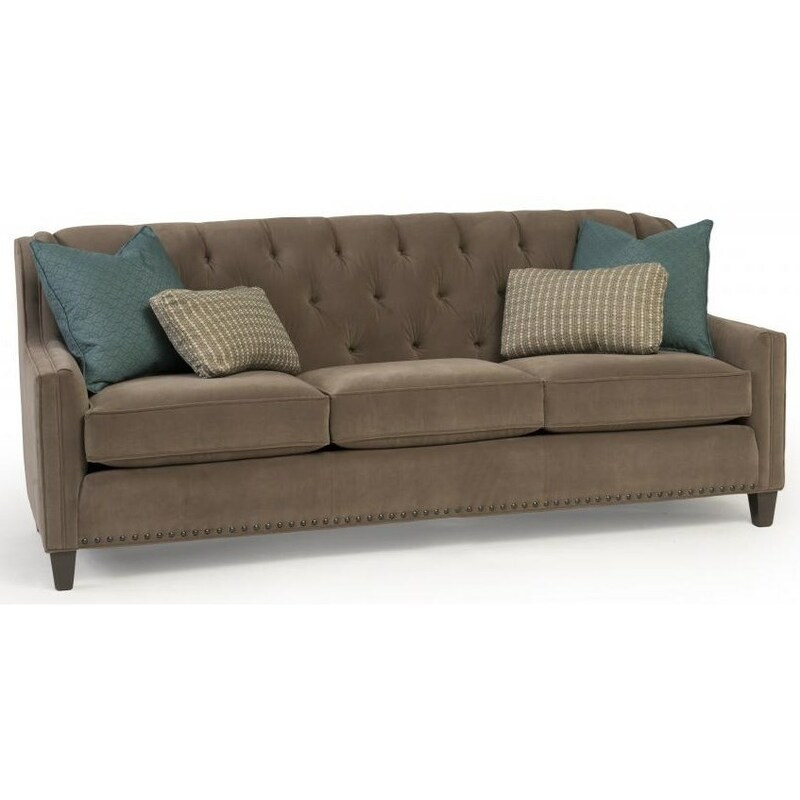 The 228 From Smith Brothers of Berne is a beautiful tufted back sofa with clean modern arms and nailhead trim for a simple but elegant look, call it the New Traditional. 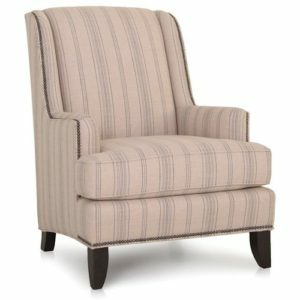 We’re featuring this on our floor in a white easy to care for linen look for a casual family friendly style that will wow your guests. 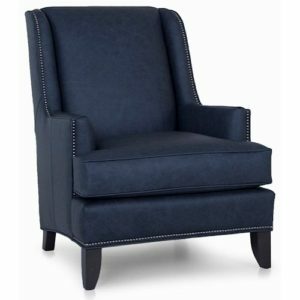 Another new item that took off right away is the 530 chair from Smith Brothers it’s an updated wing chair with enhanced comfort for today’s lived in lifestyle. The clean lines are accented with nailhead trim. The 530 from Smith is available in both fabric and leather. Have you considered leather furniture for your living room? Leather is durable, cleanable and comfortable. At Saugerties Furniture we love our Smith Brothers of Berne leather selection. Smith Brothers builds durable comfortable furniture starting on the inside with real hardwood frames that are doweled and screwed for strength, a coil-spring seating system for long term support and Qualux ultra 2.5lbs foam cushions for the ultimate in resilient cushioning. On top of their sturdy framework they upholster in all Top Grain Leather, no imitations or inferior quality hides are used anywhere on the frame. Leather comes in so many different textures and colors today that it can be used in any decor. 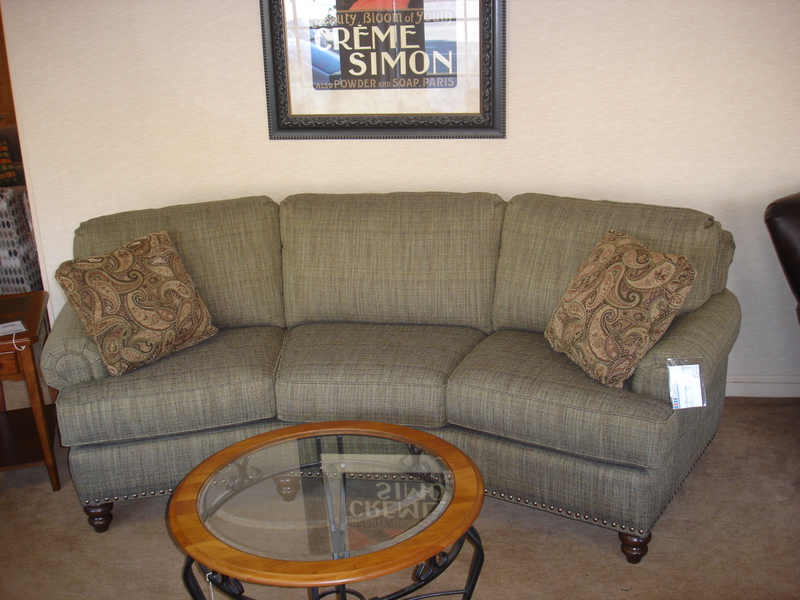 $400 on Sofas and Loveseats – Conversation Sofas too! Choose from the Smith Brothers 201, 302, 309, 311, 324, 325, 336, 365, 366, 383, 388, 393, 395, 5000, 8000 Series Sofas, Conversation Sofas, Loveseats, Chairs, Ottomans, and Sectionals of all Sizes. Customers ask me all the time “is that real leather?” At Saugerties Furniture the answer is always YES! We only offer top-grain leather on all of our Smith Brothers of Berne Leather furniture. Sofas, chairs, recliners and sectionals are all available in 100% top grain full leather. Why top grain only? Only top grain leather because of its inherent durability, comfort and longevity. A quality leather sofa will see many years of use with annual conditioning. Bonded leather is not leather at all, rather a vinyl sprayed on cotton fabric with leather scraps ground up and sprayed on the back of the fabric to resemble leather. Bicast leather is again not really leather. Bicast is a leather split with a thick coat of PU or polyurethane applied to the surface to enhance texture and create shine. Low quality leather with an artificial leather look applied to the surface of a hide that would be otherwise not useable for furniture. These leather substitutes offer cost savings at the expense of long-term usability and comfort. Cracking, peeling, and seam separation is a common complaint. Lack of breathability is another issue with synthetic leather. Let’s have a conversation about this beautiful conversation sofa. Looking for a new look for your living room, a conversation sofa can breath new life into a tired decor. Create a seating area for your family to enjoy by using two conversation sofas facing each other or place two chairs facing the sofa for a welcoming conversation area. Conversation sofas can take the place of sectionals in rooms that can’t quite handle the bulk but where a more desirable “come together” piece is needed. We carry many styles of conversation sofas all available in a choice of fabrics delivered quickly to your home!